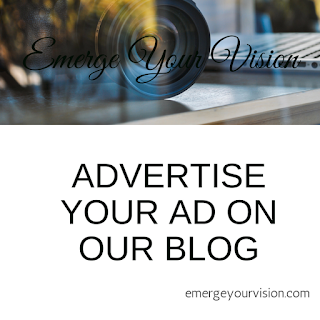 Entrepreneurs come advertise with emerge your vision on our blog emergeyourvision.com. We know at times how hard it may be to find the right fit for you when it comes to advertising. I remember a couple of years ago I was looking for the right company to do some advertising for me. It all sounded good but was not the right fit for me. When you are looking for someone to advertise your product, material, etc. always be sure no one takes away your vision what you have to offer. Always know the direction you should go.